Stories and photos from the road. Put together a new site for my documentary projects. Really enjoyed the experience of creating it using SquareSpace and appreciated the feature of a custom url too - seamless! So this week a photo of a cute black dad doing his daughter's hair while carrying his baby in a sling on his chest went viral. I know, because that's the most unusual thing in the world, right? The dad in question is quite rightly bemused by all the attention and finds it sad that the world is so flabbergasted by a guy taking care of his kids. It is a cute photo though. Got me thinking about my friend Dory, who moved from his native Zanzibar to Germany and is now an awesome full-time dad to his three kids. He looks after Mudi (9) and the twins Saida and Tariq (3) while his wife Stefanie works full time as a secondary school teacher. These pics were taken a couple of years ago when the twins were still babies and I went to visit the family in Germany. So much tenderness, fun and dedication in one home. And Dory's bringing up his eldest son Mudi to be a valued part of the team raising the twins - so he'll grow up to be an awesome, caring, generous dad too one day. 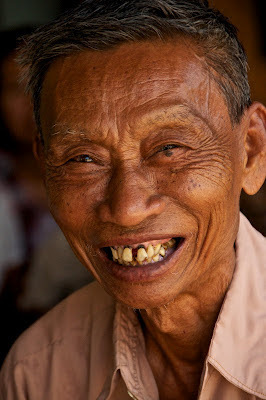 Khin Soe’s family fell on hard times when her father, a small farmer, died 10 years ago. The family had relied the sales of the cows he bred and the toddy palm sugar he sold to bring in enough money to educate Khin Soe and her siblings. 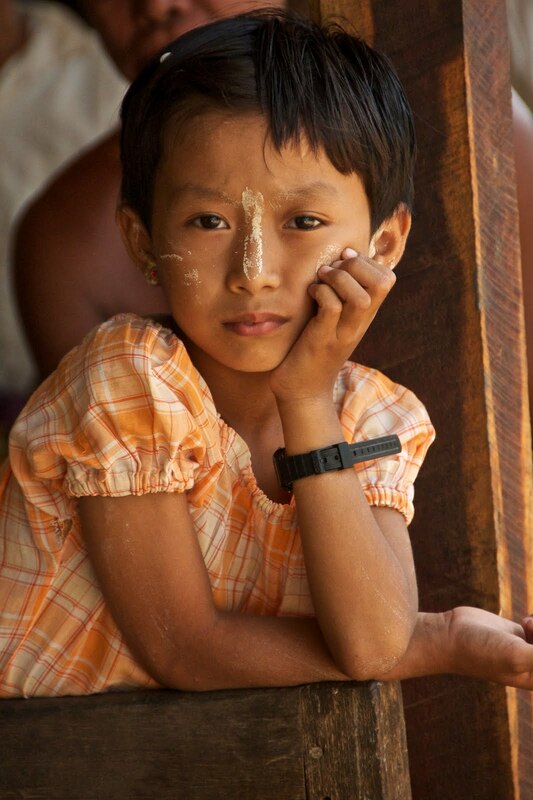 After her father’s death, Khin Soe’s mother was determined to keep her children in school. Sh piled a tray with cigarettes, soft drinks, snacks and gum, hoisted it onto her head and became a hawker, often walking miles to nearby villages to sell her wares. Once Khin Soe left school, she went to live with her aunt in the nearby town of Pakoko. “She ran a farm supplies shop and she wanted me to cook and clean for her. I liked it because at night, she showed me how to use the bookkeeping system, and how to run the accounts of her shop. When I came back to the village, it meant that I could help my mum with the store she’d opened,” she says. Hungry for more training in something practical, Khin Soe was excited when two of ActionAid’s field assistants came to the village with news of something called a Fellowship program. “They said they would offer training in development,” she says. “I didn’t really know what that involved, but I knew that I wanted to be trained in something. When I had my interview, there were five of us from this village who applied. I was so hoping I’d get it. I even listened to an astrology program on the radio, and it said to offer some burnt plum leaves to the Buddha to bring good luck. So I did it!” she laughs. The ActionAid Fellows training program, in its initial stage, consists of an intensive 30-day residential study program. Future fellows are introduced to development concepts like sustainability, gender balance and human rights, and taught skills including data analysis, group facilitation, public speaking and problem solving. Games, role plays, debates and lively discussions between the Fellows and their various trainers are used to make sure that the theories the Fellows learn about are not just jargon, but are given a solid grounding in the reality of life in a Myanmar village. Khin Soe was taught that her role as a Fellow was to facilitate group discussions so that everyone could take part in in a five-year action plan for the community. She was taught the skills she needed to enable everyone in the village – even women, children and young people - to participate in the decision making process and make their voice heard. But it wasn’t easy. 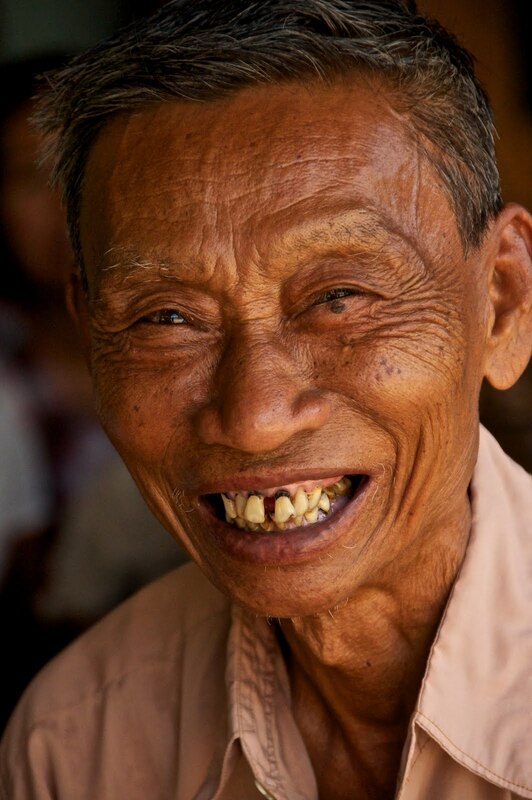 “My first job was to organise a village meeting” Khin Soe remembers. “Only 30 people came and at first they just said ‘When’s the donation arriving?’ When I told them there was just me, they got annoyed and went away. By the end of my meeting, which I’d prepared so carefully for, I had just five old men left!” She overcame her disappointment and started going door to door, explaining to each family what she was trying to do. It was a long, hard process to win the trust of the community and the village elders, but with the support of the other Fellows in her area and the ActionAid trainers, she slowly succeeded in winning them over. In just a year and half since she became a Fellow, Khin Soe’s efforts have helped the villagers start a women’s self help group, buy a generator, renovate the road and the water ponds, build a library, a roof for the water tank and a water pipeline, and rid their village of discarded plastic bags. Most importantly, Khin Soe led the creation of a village book, a comprehensive document that details every asset the village has, maps the crops and livestock, infrastructure and transport facilities, identifies the most vulnerable groups such as widows, disabled people and young children, and sets out a detailed five-year action plan for development. Daw May Win Myint is clearly not a woman who scares easily. 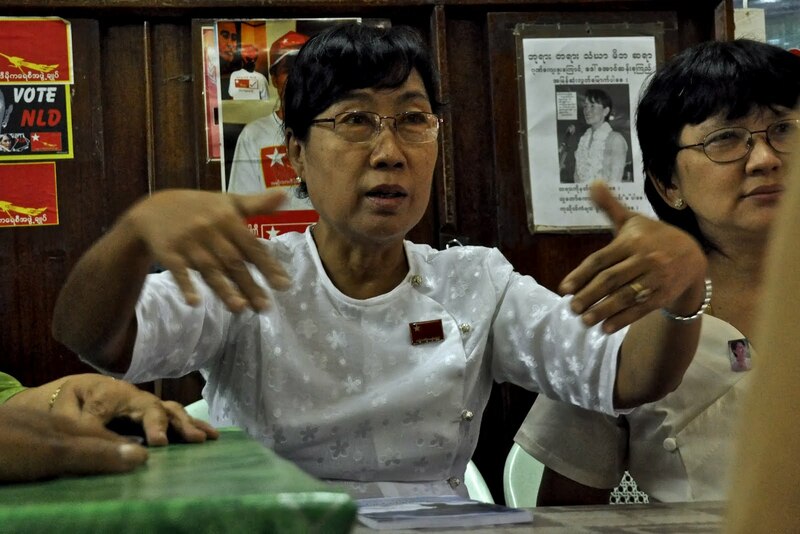 Petite, yet steely, she has devoted 20 years to the cause of democracy in Myanmar. 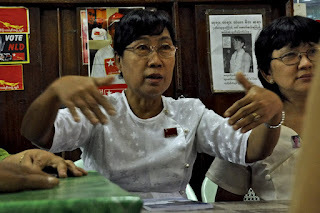 As a key member of Aung San Suu Kyi’s National League for Democracy, she’s been arrested numerous times, and spent over 11 years locked up for the crime of ‘youth organisation’. 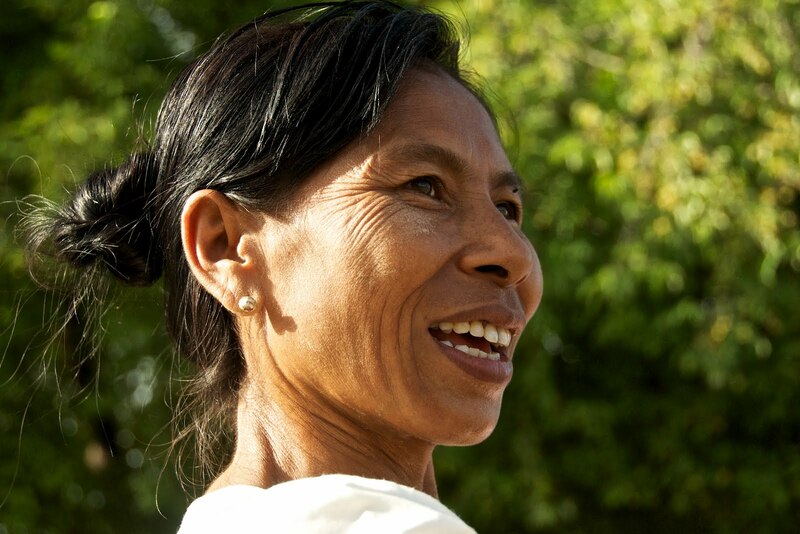 Yet she freely confesses to feeling ‘extremely nervous’ before the first training session she’d ever received in her life, a course on Women’s Empowerment organised by ActionAid Myanmar in partnership with the British Council. 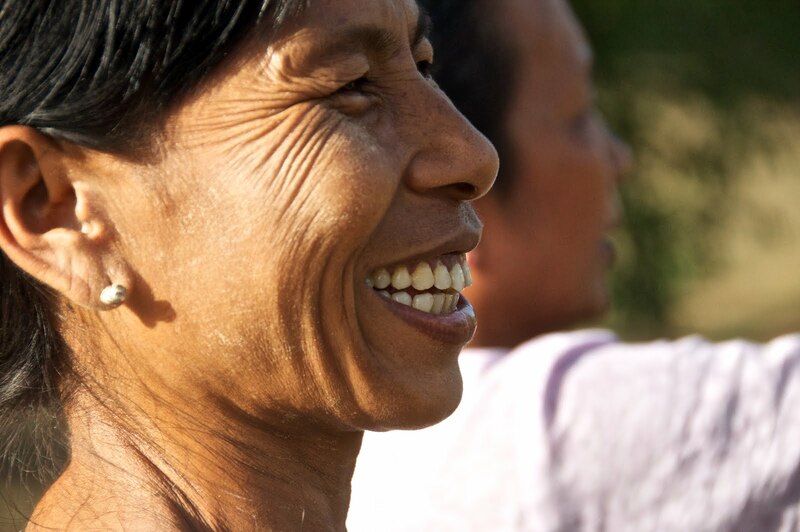 The Woman’s Empowerment course is part of a larger project called Women in Public life, designed to give women in Myanmar the tools they need to take part in business, government and politics and the legal system, all areas in which they have traditionally taken second place to men. “We learned how to speak with confidence in public, to use strong body language and hand gestures to make sure our point is heard,” says May Win Myint. Hle Hle Yee is a high-cheekboned, pretty twenty-nine year old, her neat pink top and flowerly longhi setting off her delicate features. She looks ladylike and chic, even aristocratic. Her parents are prosperous provincial landowners, and she was expected to follow her four brothers and four sisters into the business world. But a high school visit to a local courtroom changed all that. It was no momentary whim. Hle Hle Yee went on to gain her legal licence, but overcoming injustice and corruption proved harder than she’d thought. Land grabbing by government officials was rife, and inexperienced as she was, she didn’t have the backup she needed to win her cases. The course taught Hle Hle Yee about the international treaties that protect women’s rights.” Her eyes shine with enthusiasm as she reels off everything she learned. “I truly believed when I heard that, that there could be a space for women to participate in Myanmar society, right up to the highest levels”. What struck her most of all, though, was the realisation of how much the majority of women suffered, just by having no idea of their own legal rights. Her boss at the law firm was taken aback. “Who’s been flattering this girl, and telling her to want so many things?” he protested. Even her parents, always proud to have a lawyer in the family, asked her why she would give up a position in a private firm in favour of something that wouldn’t pay. “But I told them my new work was more important than money,” she says. She’s roped in no less than 10 friends and associates to help her, and proudly shows off a stack of business cards printed with the special advice line phone number she’s set up. It was nerve-wracking at first, she says, turning up on her own to train groups of people about gender violence and sexual harassment law. And simply telling women about their rights in law doesn’t solve the problems they face from apathetic or downright hostile police and corrupt courts. Yangon's 19th street is the city's barbeque quarter. Groups of friends gather to perch on tea chests or tiny plastic chairs around streetside tables. Teenage waiters scurry to and fro, hair slicked back and cheeks decorated with circles of yellow sandalwood paste. Everyone's swilling back ice-cold schooners of Myanmar beer and picking at pork skewers, whole grilled fish and tiny roast potatoes. Boys roam between the restaurants hawking strings of fragrant jasmine for girls to wear in their hair and men to string around their necks. Bicycle bells shrill as old men negotiate their way down the street, weaving between giggling girls and kids scurrying home with their family dinner in a plastic bag. When a sudden rainstorm begins, everyone scrambles to cover their market stalls with plastic sheeting. The waiters form teams to frantically crank the awnings out over their diners' heads. Then everyone sits back to enjoy the cool, fresh smell of the rain and observe the colourful umbrellas of passersby. As the night wears on, the street gradually empties out, until there's no-one much around but a group of boys playing chinlone with a bamboo ball and a fat man on a bicycle flexing his muscles for the camera. I'm a writer and photographer. If you're interested in publishing any of my work, please contact me on gemmapitcher@hotmail.com. This website and its content is copyright of Gemma Pitcher - © Gemma Pitcher 2010. All rights reserved.